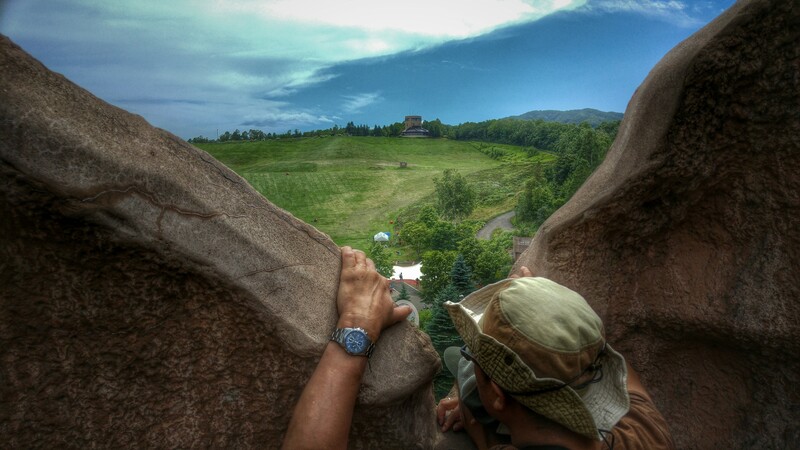 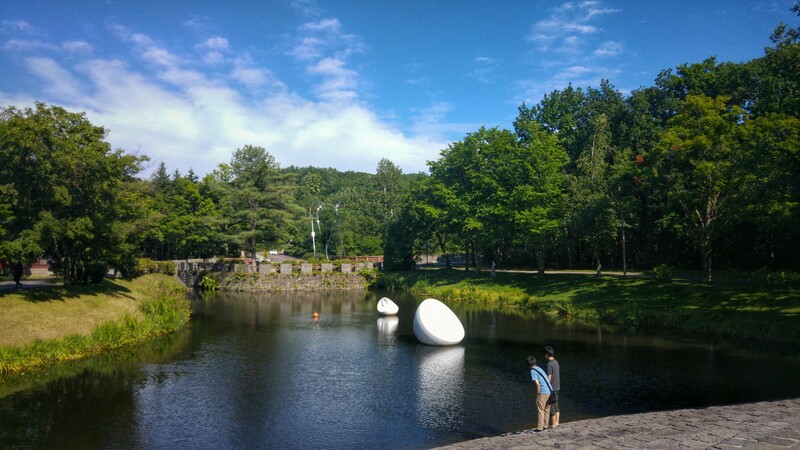 I spent most of the summer in the city of Sapporo in the northern Hokkaido province of Japan. 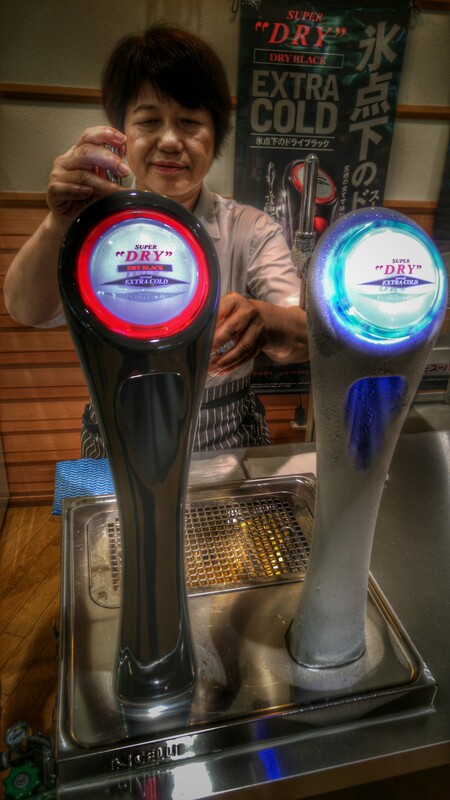 I did not expect to, but the hot and humid ~35c weather down in central Japan left me no choice. 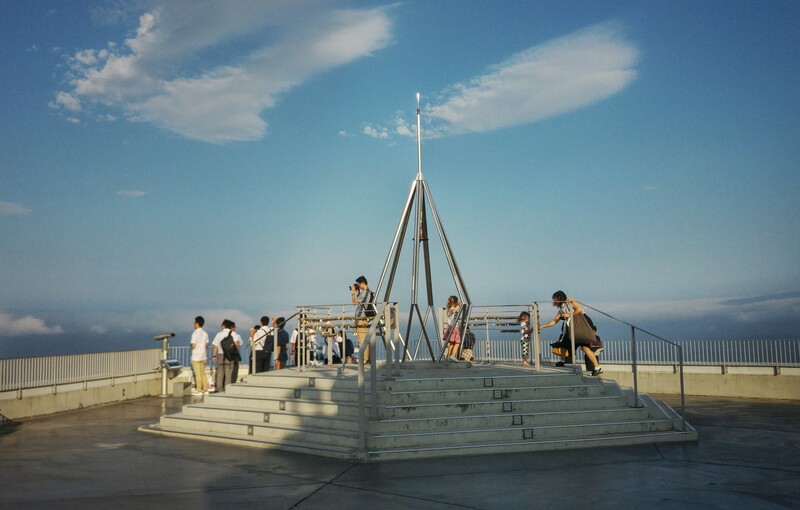 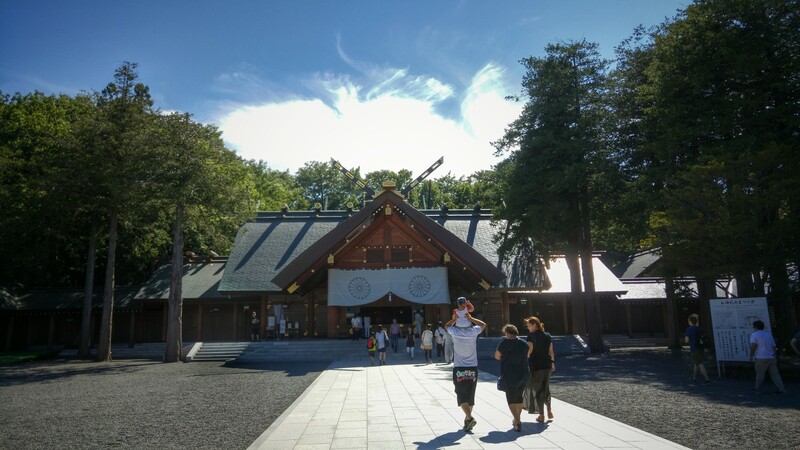 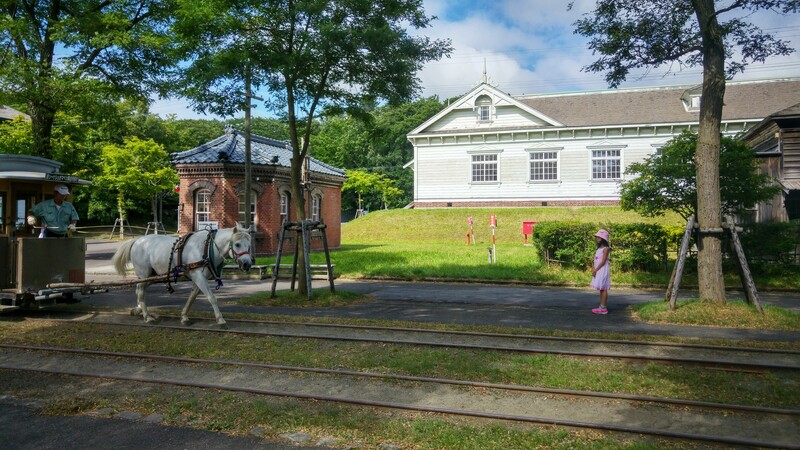 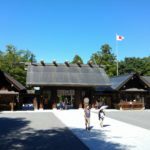 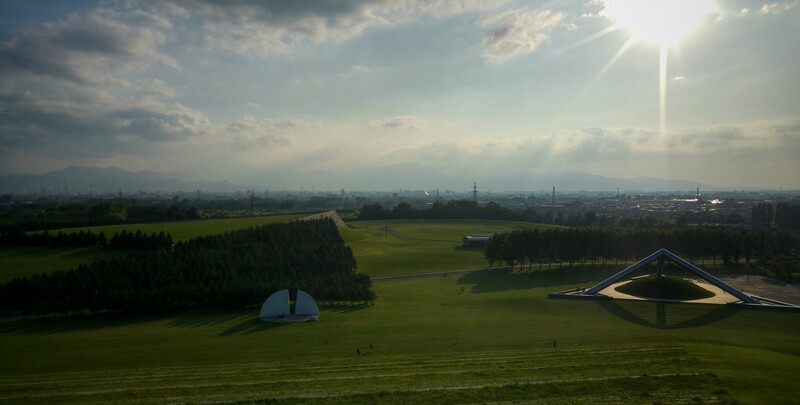 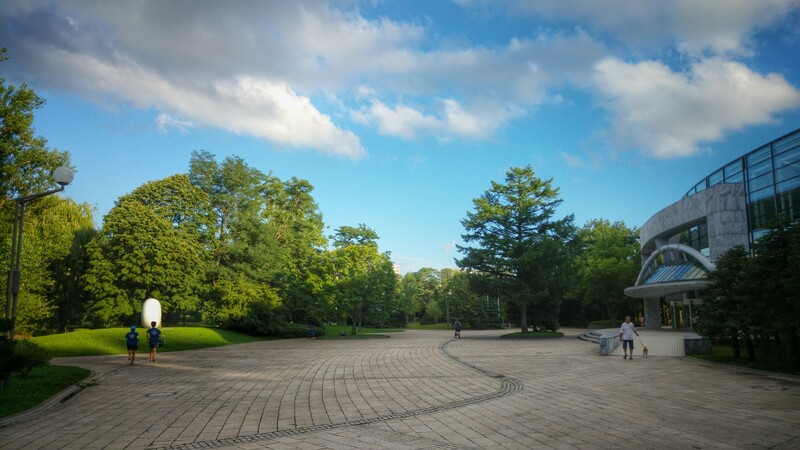 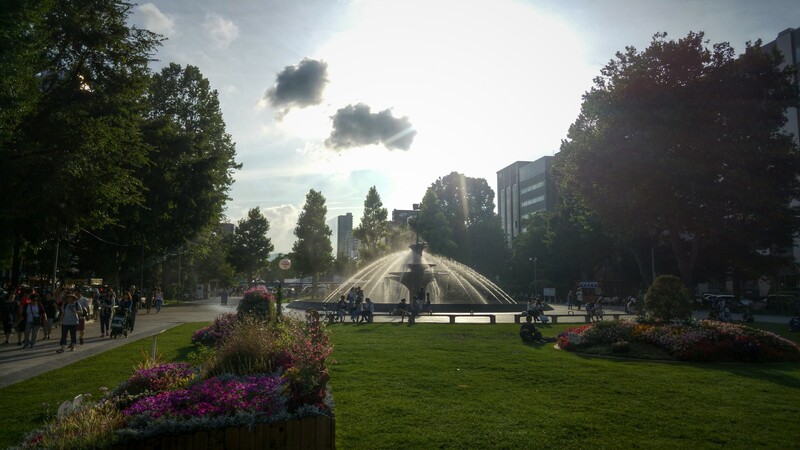 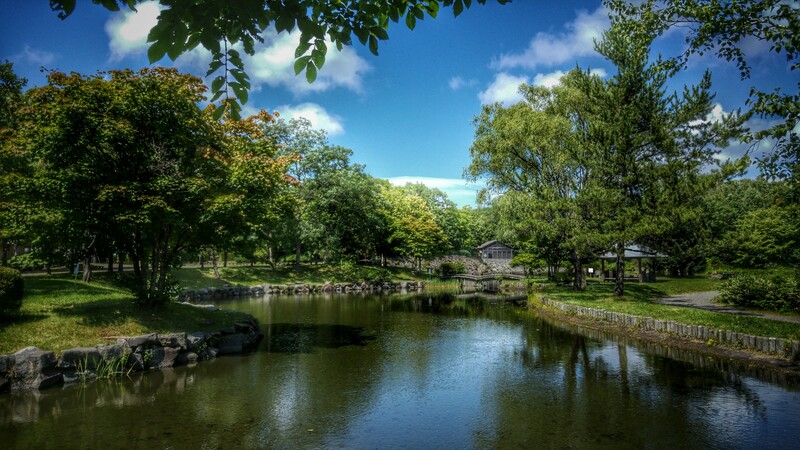 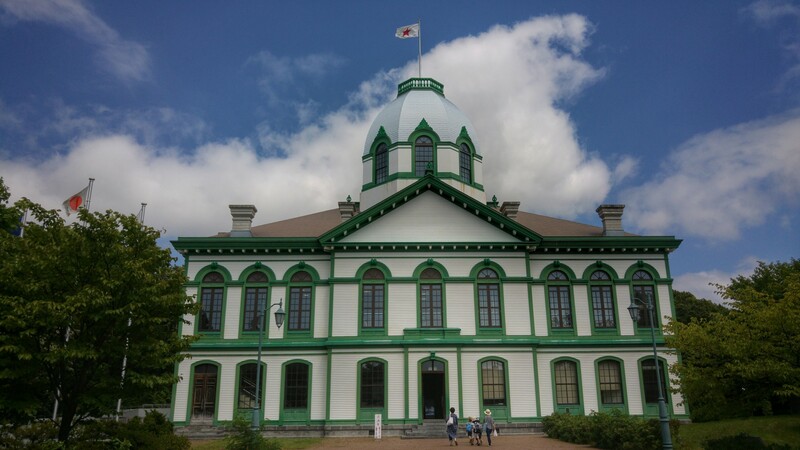 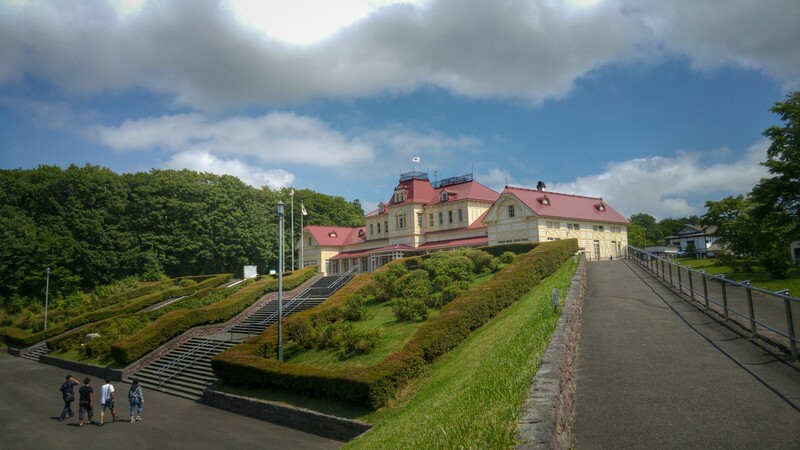 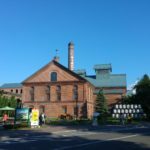 I knew absolutely nothing about Hokkaido before booking my flight and heading out, and only after I arrived and was relieved by the fairly cooler weather did I have time to sit down and ask myself – what now? 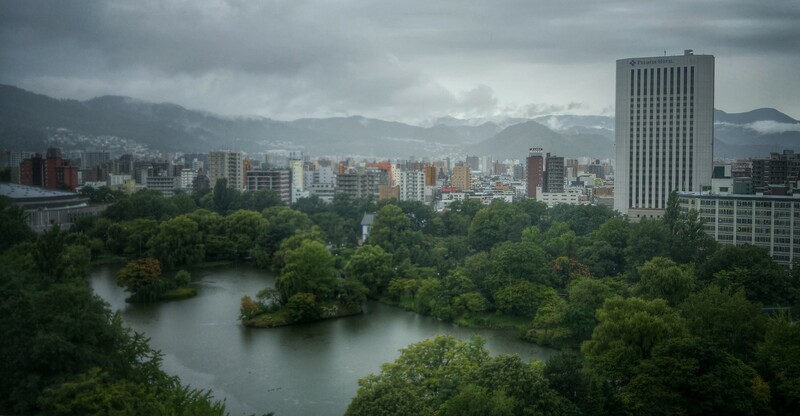 Well, Hokkaido and Sapporo proved far better than I expected (or feared). 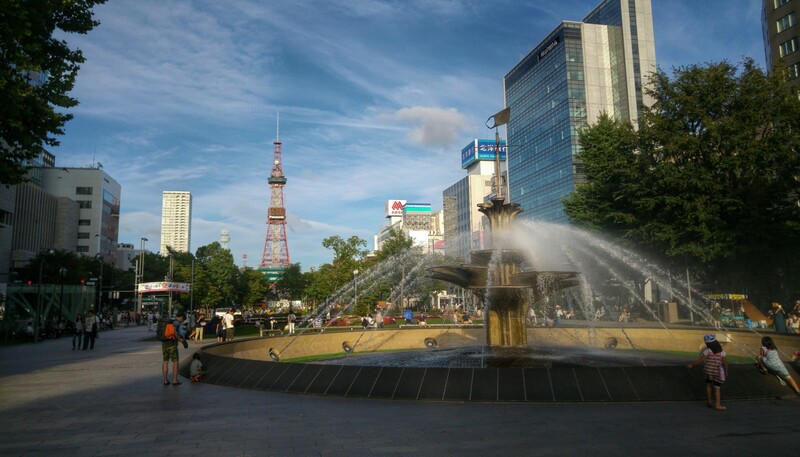 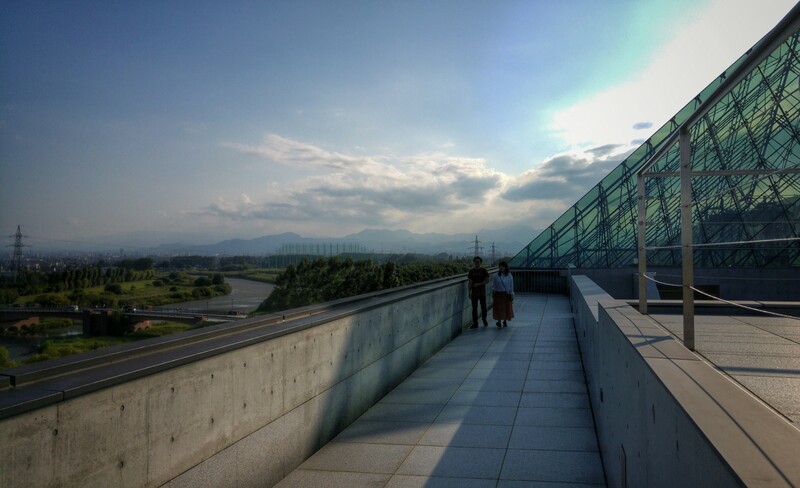 Sapporo was much nicer than Nagoya, a large city filled with parks and surrounded by mountains. 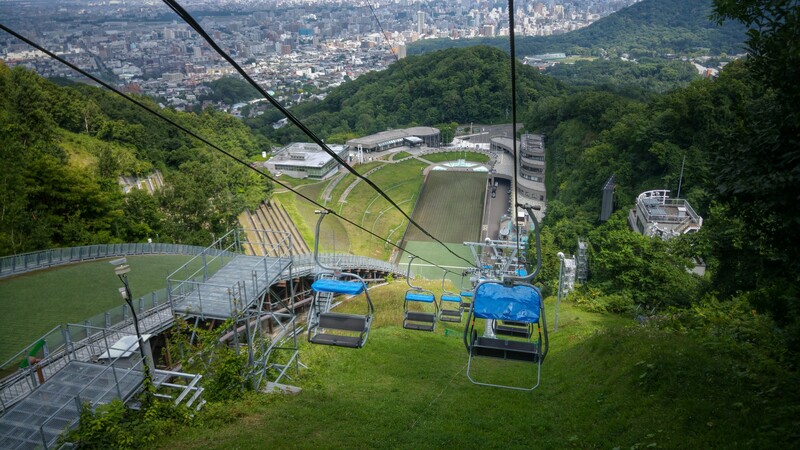 During my time in Hokkaido I did no less than 7 cable car trips up the mountains to witness breath-taking scenic views of Hokkaido from above. 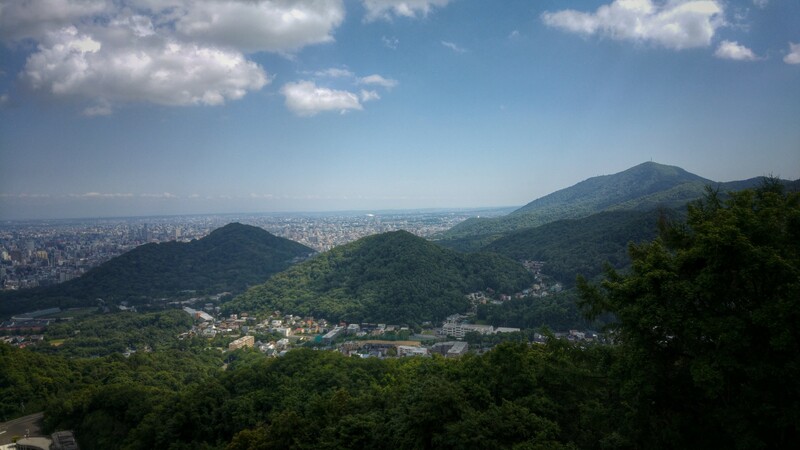 Any time I would feel too hot, all I needed to do is find a cable car to take me up another mountain, and relax on top of the world. 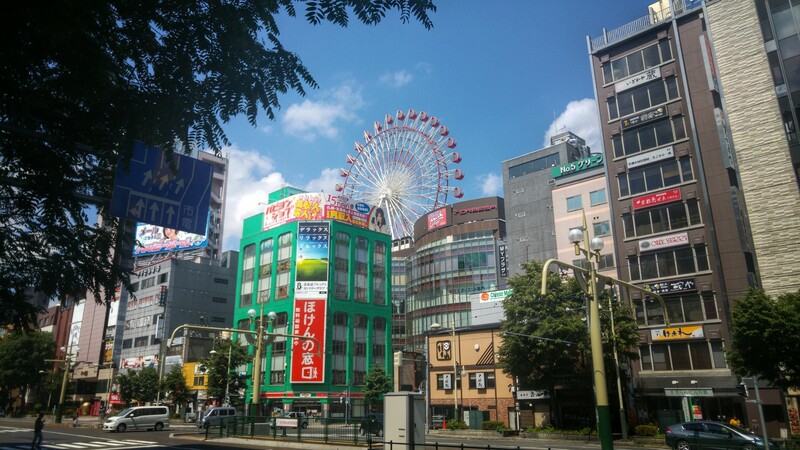 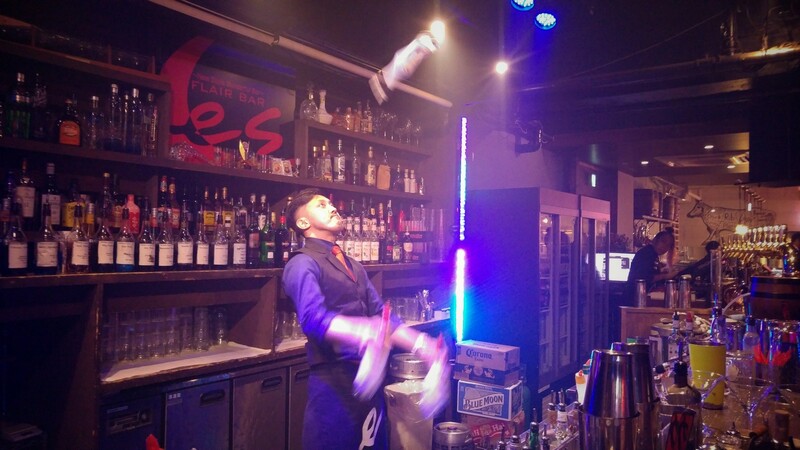 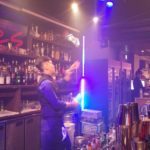 I stayed at the heart of Sapporo, the lively and somewhat notorious area of Susukino, filled with an endless array of lively bars, pubs, restaurants, cafes, and the inevitable girly bars and ‘soaplands’, offering visitors a fascinating look at all aspects of Japanese culture. 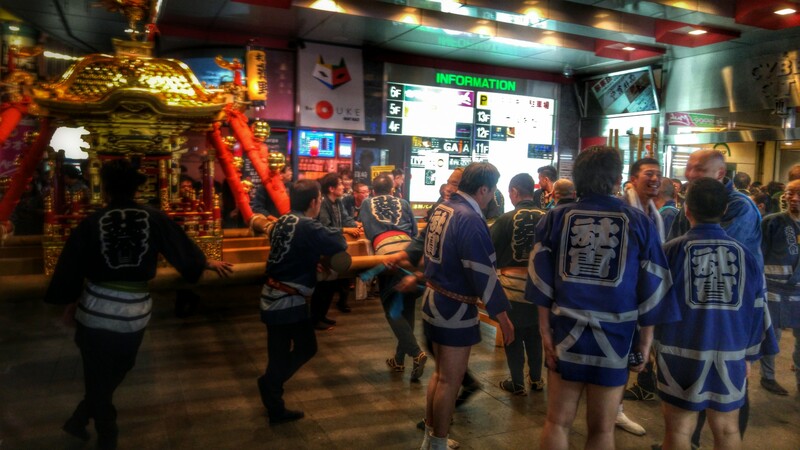 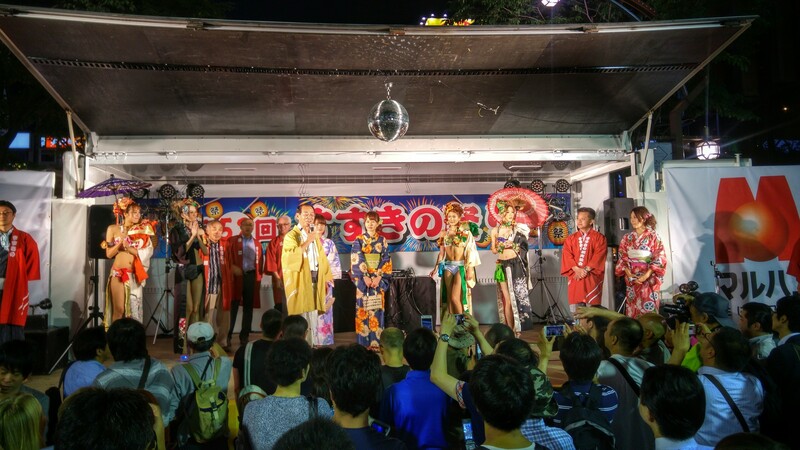 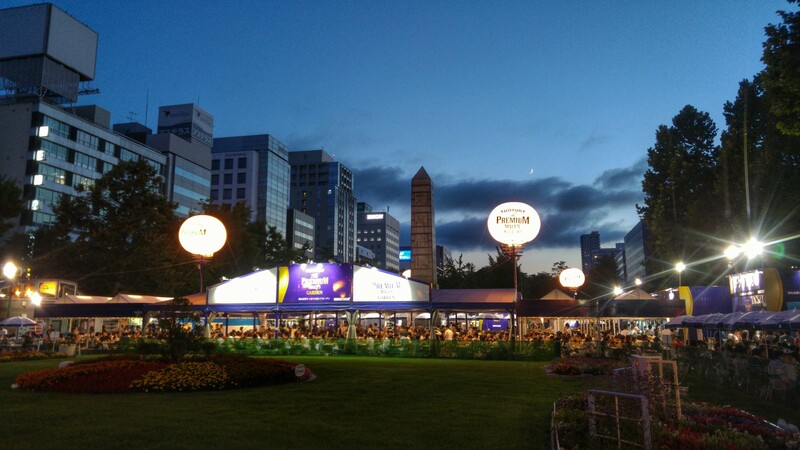 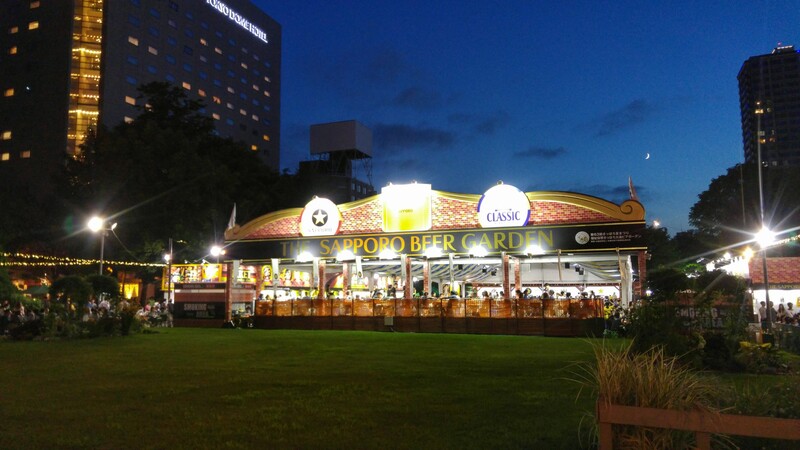 Also, there were several festivals taking place while I was visiting with some cultural holidays I couldn’t really understand, but also with lots of beer festivals featuring all the major Japanese beer brands – Sapporo Beer, Kirin Beer, Asahi Beer, and to a lesser extent – Santury. 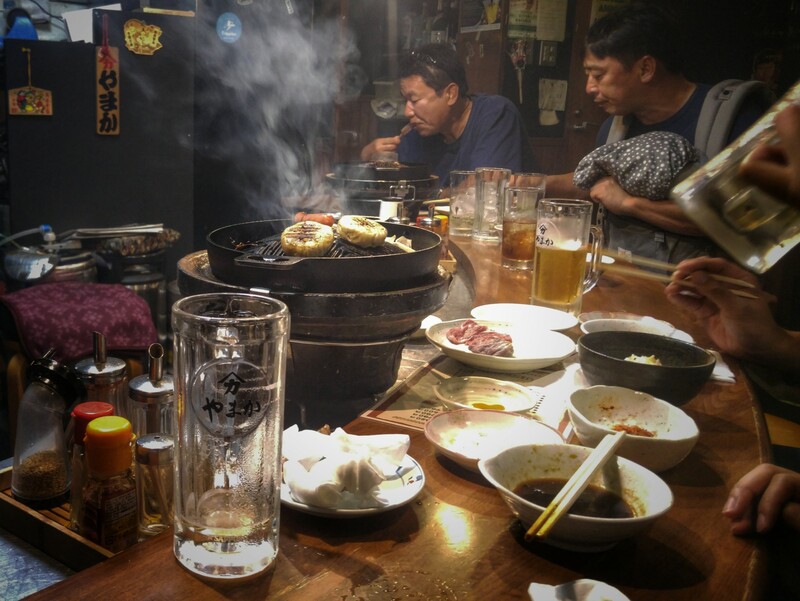 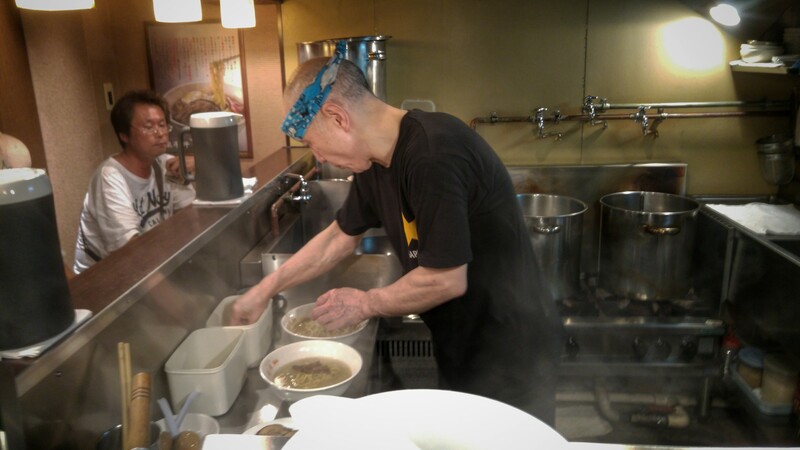 All these brands also have factories near Sapporo and offer beer factory visits. 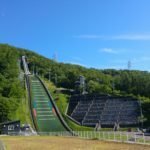 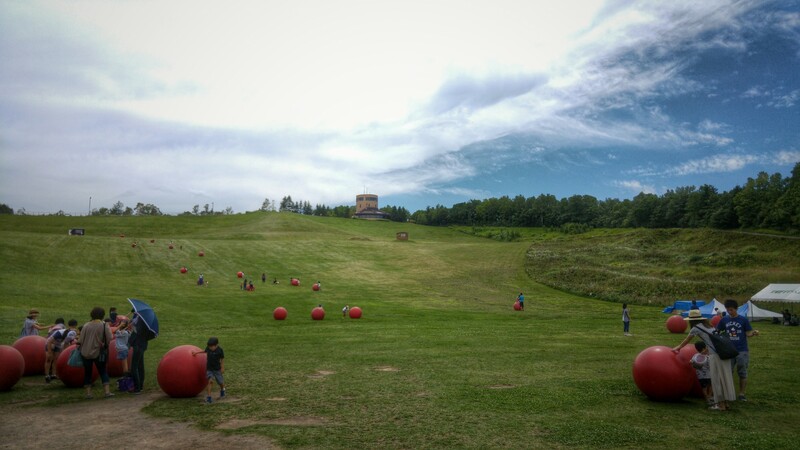 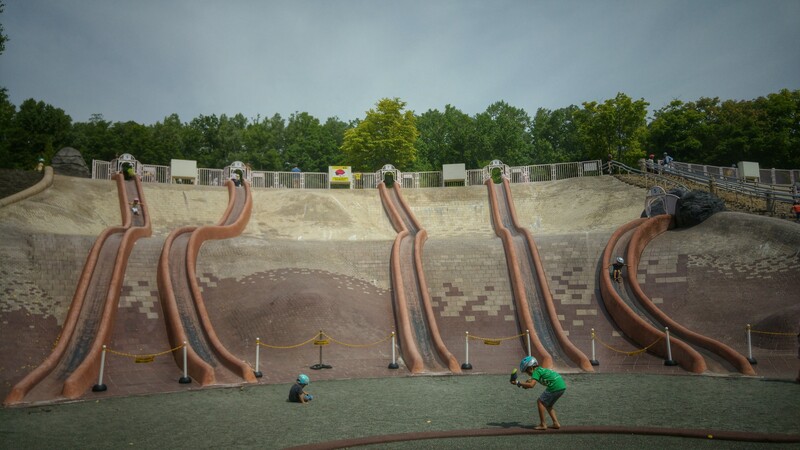 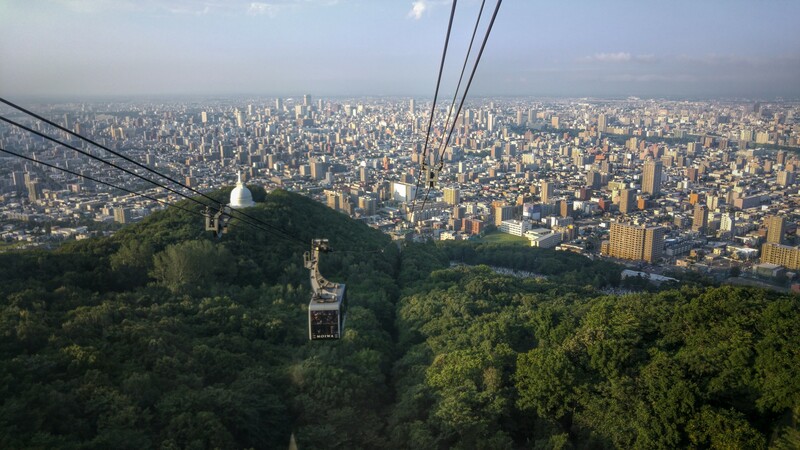 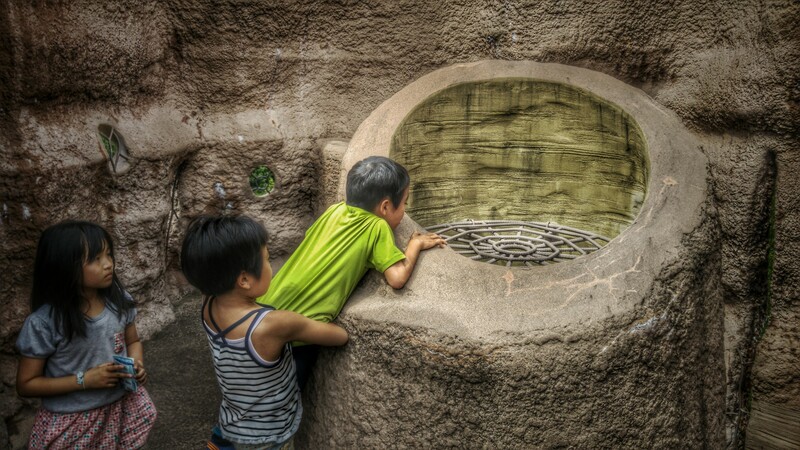 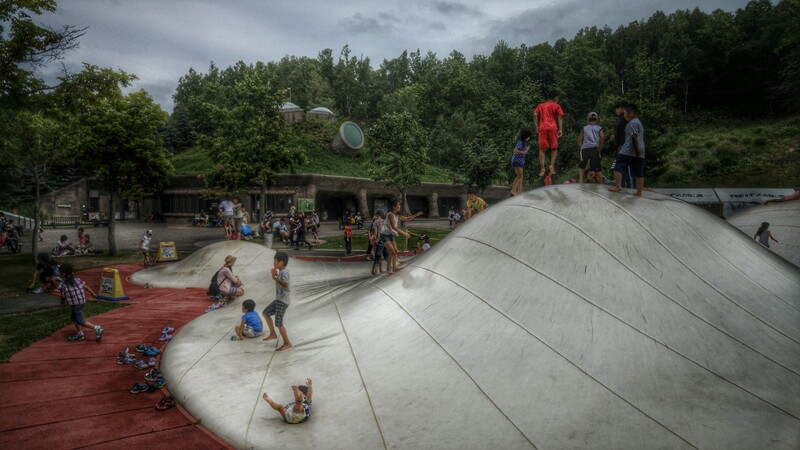 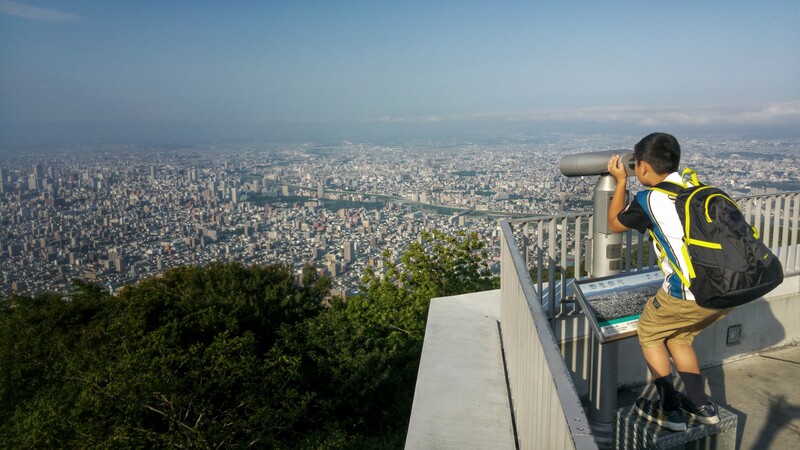 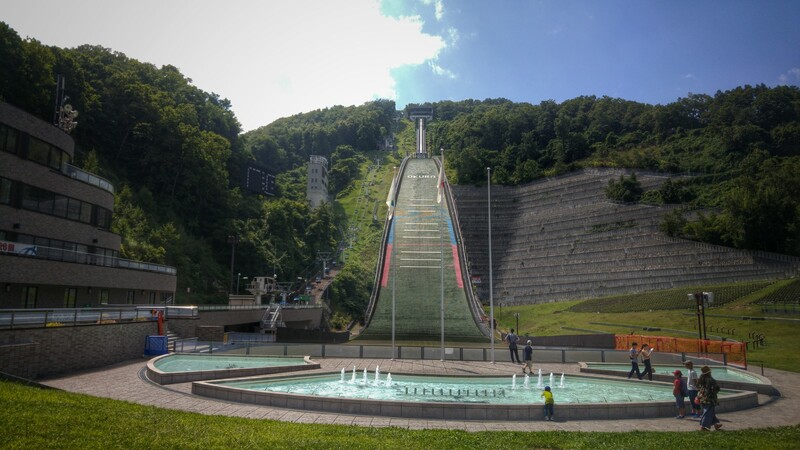 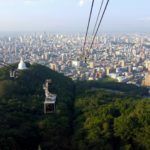 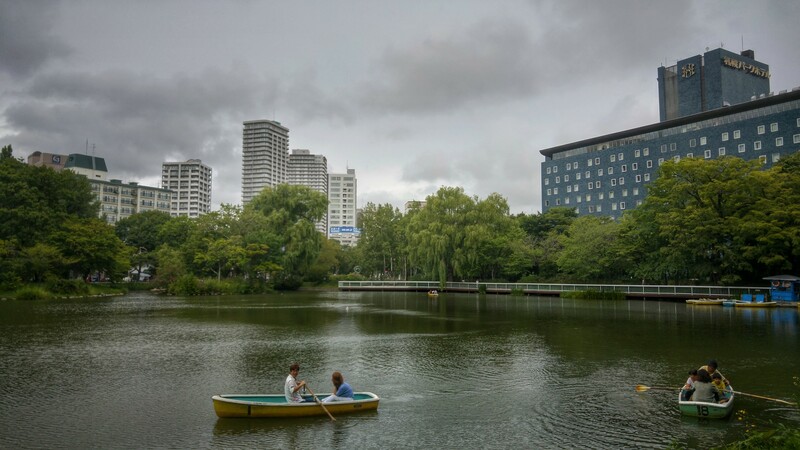 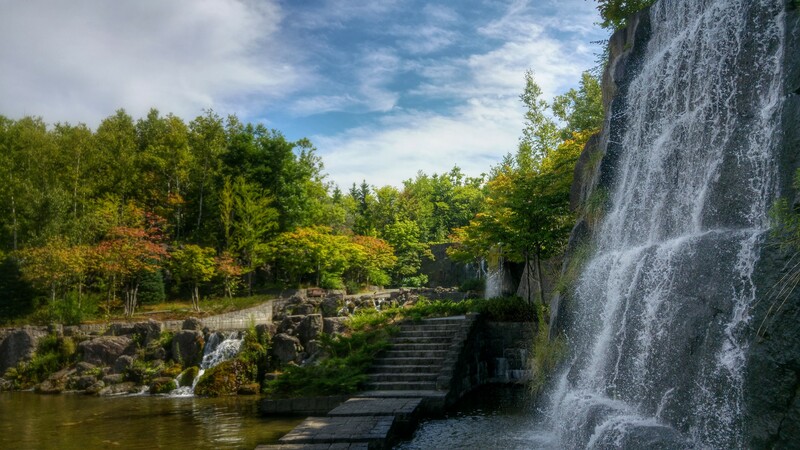 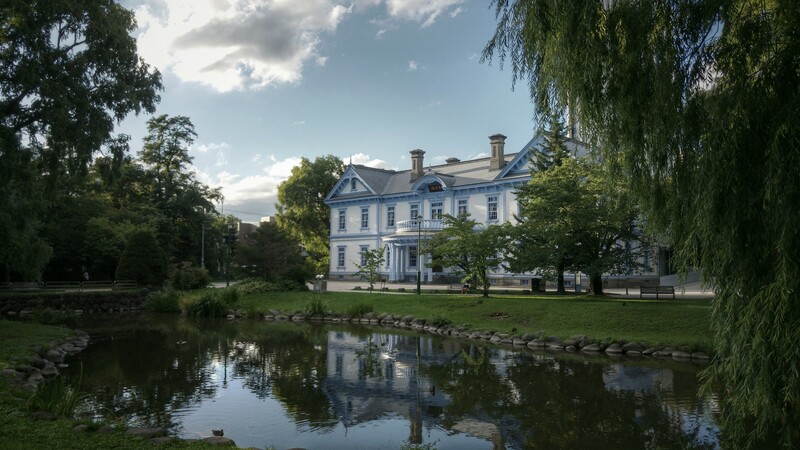 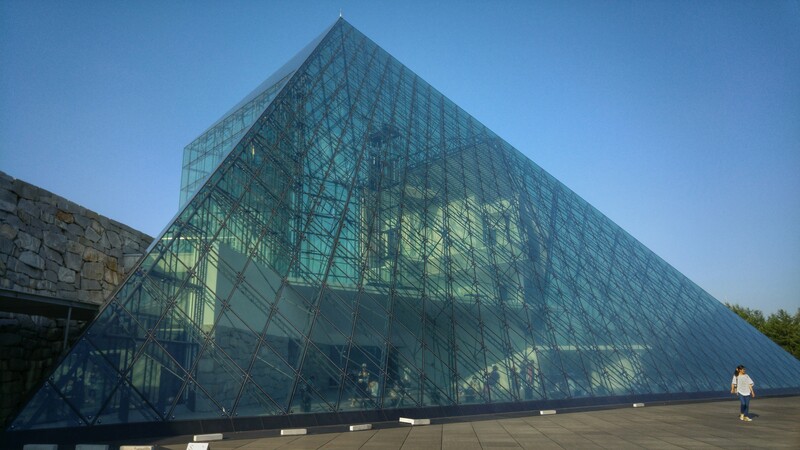 Which just goes to show you, there’s plenty to do in Sapporo, and once you get a bit tired of that, the wonders of Hokkaido nature await within a daytrip distance. 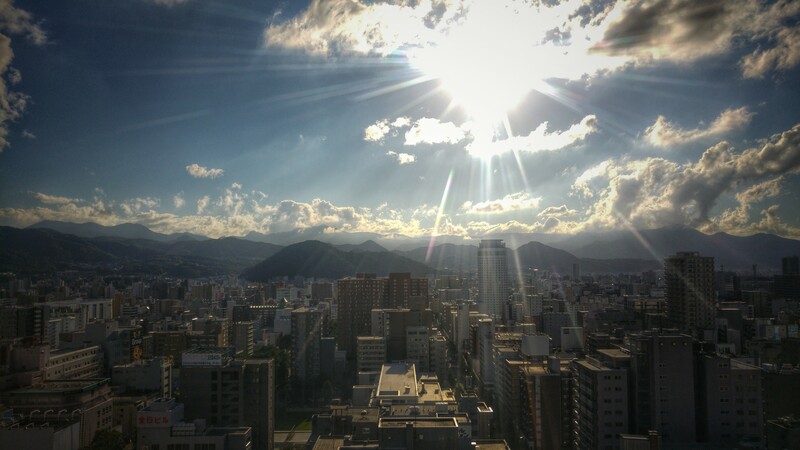 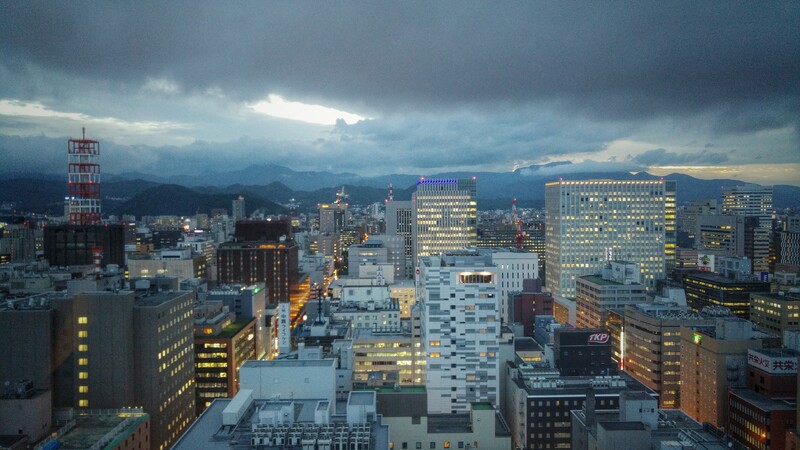 Wanna see a bit of Sapporo?